Global positing system or GPS is a satellite-based program. It is like a map, but with a memory, a brain and a sense of fun. 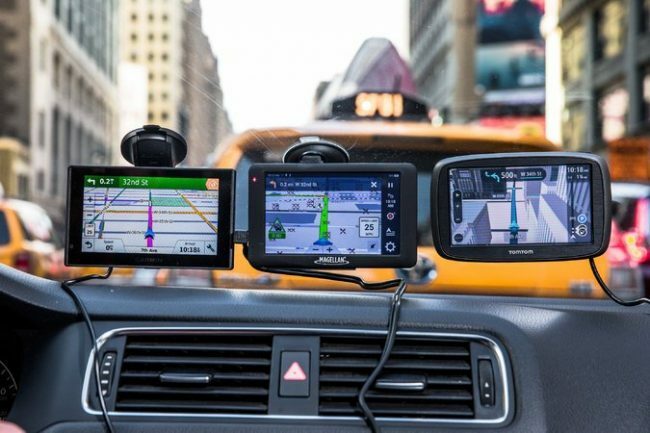 Having a GPS in the car is smart and conducive for anyone to find the right direction. When you are using a GPS, more than 24 satellites are starts working to direct you at your destination. There are many types of GPSs in the market. Among all of them, Garmin GPS leads the market. My recommendation is to check the latest Garmin 64st review once which provides a bunch of amazing features which will blow your mind. But you can experience other devices also. If your car doesn’t own a GPS just yet, first of all, Go and gets a Garmin GPS. Since you don’t use the device before, I will guide you on How to use a Garmin GPS for the first time. How to use a Garmin GPS for the first time? Here you go. First, clean the windshield of the car and attached a suction cup on it. Then you have to attach the charger to the GPS. You can use a cradle to hold the GPS to the windshield. Found the small edge of the charger and plug it into the back portion of the GPS. Go back to the windshield and attach the GPS into the cradle. Make sure both are clung properly. After that, take the other end of the cable and attach it with the car. It should turn on automatically when your car is running. Slide the device key to the left to turn on your GPS. Some instructions will appear on the screen. Follow the instructions. To get the satellite signal, get out of your garage. Avoid the long structures as much as possible. Go to an open area. Now restart the GPS. It may take a while to get the satellite signals. After some time the device will obtain the green signal. Now, it allows you to choose your destination and navigate through it. Some important information will be appearing on the display which you need to be known. On the upper left side of the screen, you will find the satellite strength of your GPS. You also got a Bluetooth status. You can send or share the data with other devices via Bluetooth. The battery status will notify you about the potency. There has also a section for Time. The “where to?” icon will help you to find your destination. Tap the “View map” icon to view the map. You can also make a call by using the phone icon when it connected. The speaker icon manages the volume. You will get the media player, setting and help in the Tool Icon. Use Garmin express to register your GPS. It will allow you to download the updated software and maps. You can create the logo and navigation voice as well. To register, connect the GPS through a USB cable with a computer. Then follow the instructions given on your screen. Touch “Where To?” and then tap “Go home.” In the “Set Home Location” type an address, Use your current location or choose a recently found location. Then save it as your home location. You can set other location as well that you always used to visit. First, search your target location browsing the map and save it like before. If you are using the Garmin Nuvi 2597LMT, go to settings, directions and then the calculation mode if you want to modify the routes as calculated. But if you are dealing with the Nuvi 50LM or Nuvi 52LM, go to settings, directions and then route preference to set. By using the “avoidance” options, you can avoid the interstates, U-turns ferries and the tall roads as well. The content on How to use a Garmin GPS for the first time will help you to sort out the problems of installing or using a Garmin GPS like an expert even if it is your first time. When you are using a GPS, it is important of knowing all the features for the supreme usage of it. So, since you know everything about a Garmin GPS, now you can enjoy the fun.